Most of us recognize that what we absorbed in the college classroom was at best a foundation for absorbing more, and a fragile foundation at that. 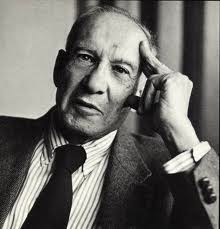 “For knowledge, by its very definition, makes itself obsolete every few years,” Peter Drucker asserted. “In the knowledge society,” he added, “learning is lifelong and does not end with graduation.” And yet, when it comes to refreshing our knowledge, many of us do it inadequately. The key question is: How are leaders supposed to ensure that they and their organizations are learning what needs to be learned? To help answer, we offer up six tips from corporate, nonprofit and government executives: Dial for ideas. Adjust the conference table. Make ignorance an asset. Solicit knowledge, not just money. Keep it short. And don’t waste time. 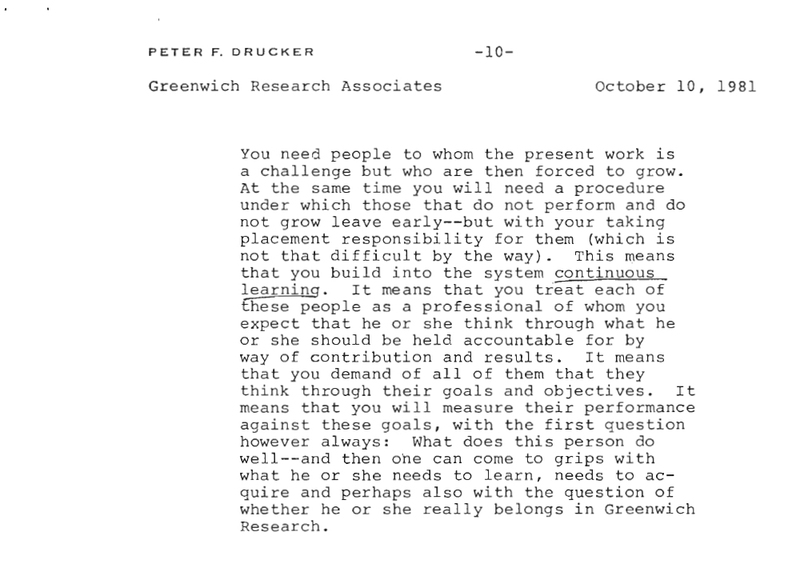 Given that we are now well into an era “in which knowledge workers dominate,” in the words of Peter Drucker, few things could be more obvious than the need to keep learning throughout our lives. We know that what we absorbed in the college classroom was at best a foundation for absorbing more, and a fragile foundation at that. And yet, for all of this, when it comes to refreshing our knowledge, many of us do it inadequately. The necessity of truly updating and renewing what we know often collides with a deep-seated preference for tinkering around the margins of our existing skills and insights. And even if we’re willing to go deeper, we still might veer in the wrong direction. The Drucker Institute’s Phalana Tiller visits with John Hagel, co-chairman of Deloitte Consulting’s Center for the Edge, to talk about the nine things organizations can do to foster scalable learning. Indeed, if you lead an organization, odds are that new ideas relevant to your work are being generated faster than any single person can possibly absorb them. How do you make sure you take in the most significant ones? At the same time, how do you put your people in position to learn what’s truly valuable to them? After that, how do you put their knowledge to work?  How do you use it to change things for the better—that is, to innovate? In short, how are leaders supposed to ensure that they and their organizations are learning what needs to be learned? We cannot offer a comprehensive answer because no one really can. What we can provide, however, are half a dozen examples of executives from all sectors—corporate, nonprofit and government—who have come to some notable answers of their own. They, in turn, may help you with yours. Assuming, that is, you’re ready to learn. Jack Welch, GE’s chief executive at the time, felt that the title conveyed more dynamism than would “chief education officer.” (Plus, the abbreviation CLO would cause less confusion than having two “CEO”s.) This was in 1994, and the central challenge facing Kerr was how to create more sharing of knowledge across company lines. Even the best companies have trouble moving information across boundaries, and GE, like most, experienced difficulties trying to do it. Complicating things was the company’s far-flung range of activities: running a TV network, building jet engines, providing financial services, supplying medical equipment. People and information—those are the things that conglomerates tend not to share. Leif Edvinsson, a Swede often described as the “godfather of intellectual capital,” credits a U.S. institution, the Haas School of Business at the University of California at Berkeley, with teaching him how to learn. “They trained me to not just respond to the question but look for what’s behind the question and to see the deeper pattern and to challenge the pattern,” says Edvinsson, who attended Haas in the 1970s. Edvinsson took this habit of mind to Swedish financial services giant Skandia, where some credit him with becoming the world’s first corporate “knowledge manager” in the early 1990s. It was in that position that Edvinsson discovered just how hard it is to manage knowledge—especially as employees approach middle age. Creativity and curiosity typically come in a U shape, according to Edvinsson: They peak in a person’s youth and in older age but tend to hit a trough when someone reaches their early 40s. That, of course, is precisely the time that many executives are entering C-suite positions. Edvinsson believes that the stress of these jobs causes the brain to close up, inhibiting learning. So what can you do? Edvinsson says that small steps toward reducing anxiety can make a big difference. Among them: Lower the height of the conference table, where senior executives routinely meet, to make it more comfortable and inviting. “Spice your environment with signals of being at home,” advises Edvinsson, who is now an emeritus professor at Lund University. Thomas Tighe, the president of the nonprofit Direct Relief, makes a point of asking corporations such as FedEx for their knowledge, not just their money. By definition, the auditor of King County, Wash., needs a staff of great learners. After all, the knowledge they require to do their job changes constantly. One month they might be charged with assessing the effectiveness of a jail diversion program in Seattle, only to then take on a full-blown review of the entire county transportation system. One of the reasons for her staff’s success—they recently won a major award from the Association of Local Government Auditors—is that they don’t hide the fact that they don’t know much heading into an assignment. Rather than be sheepish about their ignorance, they embrace it, asking the most basic question to begin: What should we even be looking for? They then go out and seek the answer from a wide variety of experts. They even read other audits covering similar situations in other jurisdictions—the way a wedding band might listen to endless versions of “We’ve Only Just Begun” so as to pick up a few fine points. One notable effort in recent years involved an audit of the county’s Office of Law Enforcement Oversight, which is responsible for ensuring the integrity and transparency of misconduct investigations in the Sheriff’s Office. Over the better part of a year, Waltmunson’s auditors spoke to scores and scores of people with deep knowledge of the field: police officers around the country, the American Civil Liberties Union, authorities on civilian oversight, university scholars and officials at all levels of the department itself. What resulted was an 83-page report, which found, among other concerns, that the Sheriff’s Office personnel being overseen were the ones defining their own oversight. Fixing this required a ballot initiative, which passed in 2014. Spotting a problem like this is invariably made easier, Waltmunson suggests, when one’s mind is truly wide open going in. “We have a lot of flexible thinkers,” she says. Nonprofits usually ask corporations for one thing: money from their foundations. Thomas Tighe, the president of Direct Relief, has long asked them for something else: to teach him and his colleagues how to be better at what they do. To keep an eye out for such opportunities, Tighe says, it’s crucial to separate purpose from function. For example, Costco doesn’t exist to improve the health of impoverished communities, but it sure knows something about distribution—a function that’s central to what Direct Relief does. Google’s primary purpose isn’t to raise philanthropic contributions online, but it definitely has a lot to impart to an organization like Direct Relief about how to connect efficiently and effectively with potential supporters. In fact, Direct Relief has approached FedEx and Google and many other corporations with a simple proposition: We’re eager to learn from you if you’re willing to help us. And in all three cases—as well as many more—corporate executives have turned out to be very, very generous with what they know. Rather than lay off his employees during the 1997 Asian financial crisis, K.H. Moon, who was then the CEO of Yuhan-Kimberly, paid for them to take courses on a range of subjects. For anyone with romantic ideas of learning—perhaps a stack of books to be read, a tweed jacket to be donned, a leather wing chair in which to settle—Grovo is there to help bring you back to earth. The New York-based company offers an online learning platform that is designed to train people in the way in which learning actually sticks: in very small bursts, with plenty of practice and an immediate chance to apply what’s been learned. “We’re actually trying to transform people in how they think and in what they do,” says Alex Khurgin, Grovo’s director of learning. Grovo’s learning platform is shaped by a handful of underlying principles: Attention is a limited resource. Mastery comes only with doing something again and again. Cramming does not work. Sleep is crucial. There’s also this: Motivation waxes and wanes. People are going to be most receptive to learning right when they’ve been hired or moved into a new role. For Grovo, what all of this adds up to is “microlearning”—specifically, courses consisting primarily of super-short videos (like this one.) The longest video that Grovo offers is 144 seconds; many are under a minute. The approach, Khurgin says, has proven to work whether someone is being taught hard skills or soft ones. The microlearning begins by communicating what Khurgin calls the “aha moment”: the essential insight someone is supposed to grasp. On day two (with a good night’s rest in between), tips are provided for how that insight can actually be applied on the job. In the following days, the learner is guided to try out the idea over and over. Real learning “only comes with repetition,” Khurgin says. To that end, every lesson concludes with a cue card that helps someone take what they’ve just learned and use it in the real world. For instance, if the lesson is to make a habit of recognizing your employees in order to help motivate them, then the platform might prompt you to send an email to a person on your team recognizing him or her for something recently done well. In 1997, when the Asian financial crisis hit, lots of executives in that part of the world ran for cover. K.H. Moon saw it as a tremendous opportunity for his employees to pause and learn. At the time, many Korean companies were reducing their workforces by 30%. Moon felt this was the wrong thing to cut. Yuhan-Kimberly had lots of machines, warehouses and slow-moving products, and not all were worth keeping during the downturn. “Instead of dismissing people, why not dismiss underutilized assets first?” Moon asks. This type of ownership is critical, if people are going to sustain their lifelong learning habits. If we had asked them to learn this or learn that, we might have discouraged them. Meanwhile, the work that remained was spread out, as the company moved from a three-crew, three-shift arrangement to a four-crew, two-shift schedule. This allowed Yuhan-Kimberly to avoid slashing its payroll, while giving employees more free time. But Moon was determined that these extra hours not be squandered. And so Yuhan-Kimberly paid for workers to attend classes, with a full menu of options offered. “Some decided to study Chinese or English,” Moon recalls. “Some learned Microsoft Office. Some learned about time management. All kinds of topics were allowed, based on their own priorities. The payoff: Yuhan-Kimberly saw worker engagement and productivity go up so much, Moon says, it more than paid for the cost of the program. Today, Moon is CEO of another company, Hansoll Textile (and serves as a member of the Drucker Institute’s Board of Advisors). There, he continues to encourage lifelong learning by supporting study groups and workshops where peers meet and share knowledge. Hansoll also has developed “innovation circles” that enable workers to learn across different departments. And there are monthly video conferences in which the exchange of ideas is encouraged. Whenever you take on a major task, write down your expectations—and then see if the results live up to them. The gaps will help show you what you need to learn. Volunteer to coach or mentor a colleague, with the firm understanding that the best way to truly learn something yourself is to teach it to others. The book The Fifth Discipline, by MIT management expert Peter Senge, has sold more than 1 million copies since it was released in 1990. It popularized the term “learning organization” and has shaped countless retreats, reinventions and self-examinations. It has also sparked debate and pushback. Smith’s piece offers a helpful overview of Senge’s ideas and the debates that they have inspired, along with many useful links and resources. What you expect is what you get. 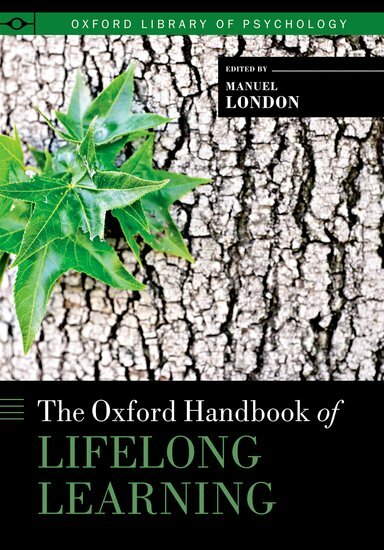 This book gives a view into some of the many areas of research taking place in the study of lifelong learning. 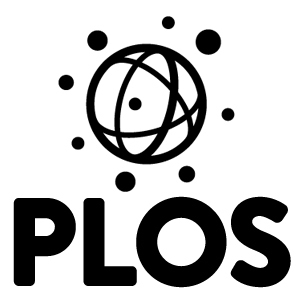 Among them: models of lifelong learning, neurological bases for learning during your life and examples of learning programs and learning across cultures. Most learning at work is informal learning. Some say it’s 80%, and hence the title of this piece. 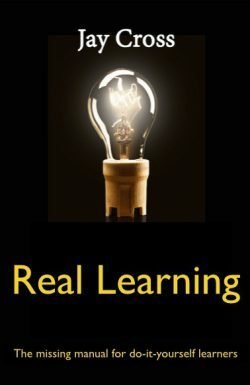 It offers some perspectives on informal learning and its importance and lays out the 70/20/10 theory of where the best learning comes from: 70% from real life, especially on the job; 20% from feedback and observation; and 10% from formal training. The term “knowledge management” has become ubiquitous in the past couple of decades. But what is it? This article runs through some of the definitions, presents how knowledge management tends to work in practice, sets out its stages of development and asks whether it’s here to stay. Spoiler alert: It is.